Gregg Lambert, Dean’s Professor of the Humanities and director of the Central New York Humanities Corridor, has been appointed an inaugural senior research fellow of Western Sydney University’s Philosophy Research Initiative, which provides M.A. and Ph.D. opportunities in contemporary continental philosophy. Lambert joins nine other internationally recognized philosophers and theorists in the newly formed College of Fellows, which seeks to internationalize and promote collaborative research in the initiative. For the next three years, Lambert will participate in various public events, including this fall’s launch of the university’s graduate program in philosophy. He also will headline lectures, workshops, reading groups and symposia on campus and throughout Australia’s east coast. The Philosophy Research Initiative is based in the School of Humanities and Communications Arts, where Lambert also will serve as an adjunct professor. 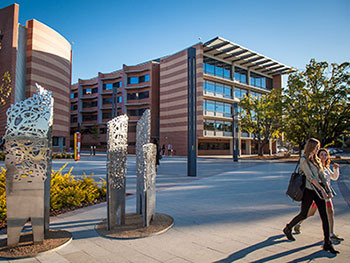 The school’s activities are divided among two of Western Sydney University’s eight campuses throughout New South Wales. Lambert is no stranger to Australia’s Harbour City, having lectured multiples times at the University of New South Wales. The former English professor in the College of Arts and Sciences was drawn to Western Sydney University because of the initiative’s reputation for cross-cutting, forward-looking scholarship. An accomplished teacher-scholar, Lambert studies critical theory and film, 20th-century French philosophy and the dynamics of the contemporary university. 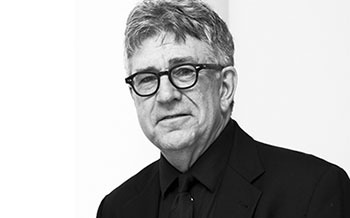 He is the author of more than 50 scholarly articles and nearly a dozen books, the most recent of which are “Return Statements: The Return of Religion in Contemporary Philosophy” (Edinburgh University Press, 2016) and the forthcoming “Philosophy After Friendship: Deleuze’s Conceptual Personae” (University of Minnesota Press, spring 2017). A past member of the International Advisory Board of the Consortium of Humanities Centers and Institutes, Lambert served as founding director of the Syracuse University Humanities Center from 2008 to 2014. He also has held visiting and distinguished faculty appointments throughout North America, Europe and Asia, and earned a Ph.D. in comparative literature and philosophy at the University of California, Irvine. 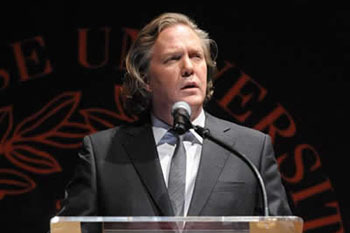 Much of Lambert’s current work at Syracuse involves the development of the Humanities Corridor, a large-scale interdisciplinary project that is supported by the Andrew W. Mellon Foundation, whose recent $3.5 million endowment award is being matched by gifts to the program’s nine institutional partners. For more information about the endowment campaign, contact Sara Wason, assistant vice president of corporate and foundation relations at Syracuse, at sdwason@syr.edu, or Mi Ditmar, the Humanities Corridor’s program coordinator, at mmditmar@syr.edu.